Made it down to beautiful Lake Taneycomo over the weekend October 10-14. 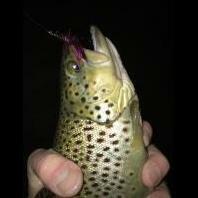 Overall I felt fishing was a bit slow compared to my last fall trip I made down catching numerous browns. Made the best of the weekend with the rainy and chilly conditions we had. It was mainly cloudy and rainy the whole time we were there. 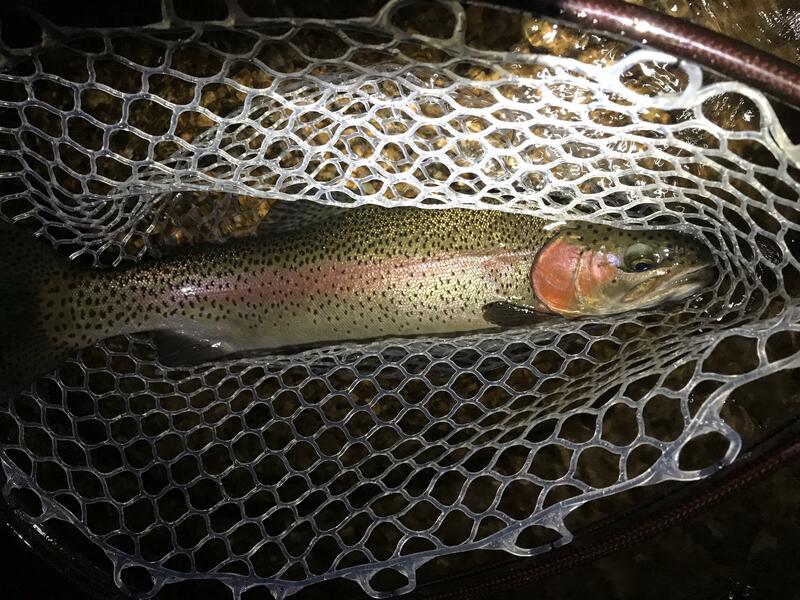 Didn't get skunked by any means but had to work a bit for them. Didn't see a whole lot of rods bent during the trip either especially the combat fisherman at war of Outlet 2. 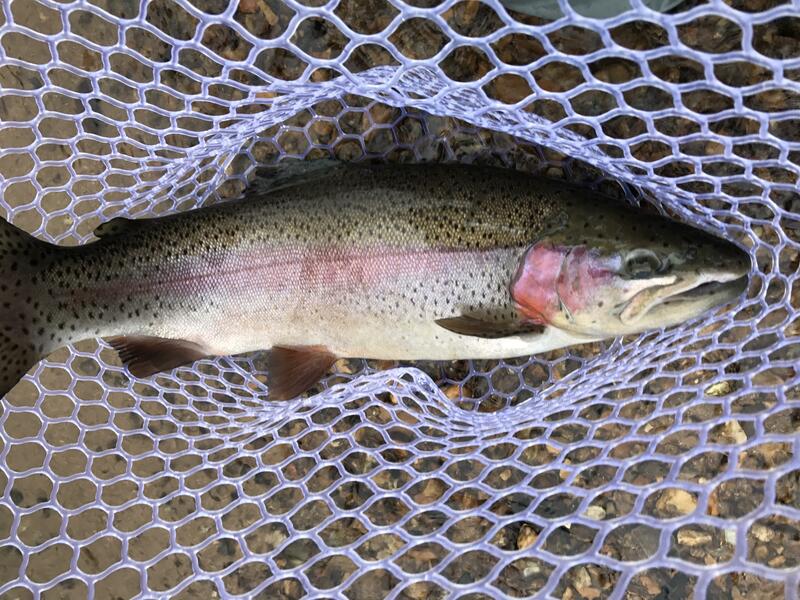 Only managed one brown while I was down out of all the fish we caught and the rest were bows. We got to the parking lot of the darn most mornings around 5:30am and the amount of cars in the parking lot day and night was absolutely crazy! 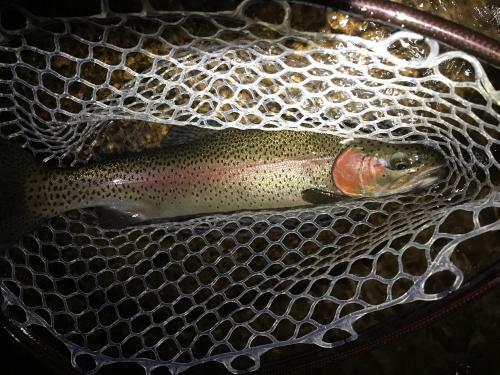 Managed to do some night fishing as well and caught a few on white woolybuggers, red leaches, purple and black pms and green mega worms under an indicator with a glow stick. The biggest numbers came on the green mega worms during the day. Also caught fish on midges, scuds, dark brown san juan worms, tigertails, egg flies in pink and yellow. All in all was fun to get away and down to stand in the water for a few days and chuck a fly rod. Tight Lines! Nice! Those look like some solid net fillers you got into. You see any big fish still cruising around up there? Sorry to hear about the crowds. 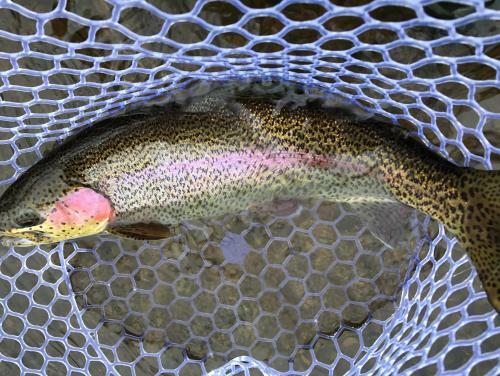 Even with the crowds you caught some nice trout! Congrats! Yeah I seen some big boys still cruising around especially on the last day we were there but of course time to come home! Crowds are one thing, but disrespectful crowds are another! Good deal, there's some big ones in there for sure, glad they are still hanging around up there. Sorry to hear about disrespectful crowds... that can always put a damper on a good trip. Looks like you had a pretty good trip. We r headed down this weekend and I'm sure it'll be crowded which seems to be the norm anymore. 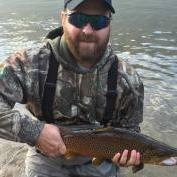 Seems like we hear more bigger bows this year but not as many browns. Does it seem like that to you all and why is that??? I would say from my trip a few weeks ago the rainbows that were staging up there were above average along with some real bruisers 20in plus fish. Browns it was either a pack of little ones that seemed to be schooled up and cruising and then you had lone wolfs in good numbers of tanks that were 22-28in class fish. 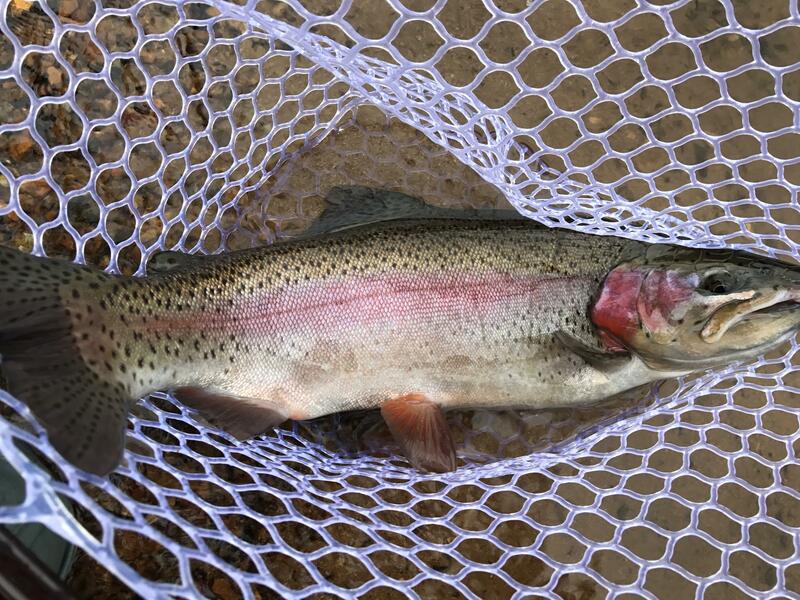 You'll still catch dinks, but the rainbows were all solid and good fighters. Fat fish with shoulders on them were abundant.